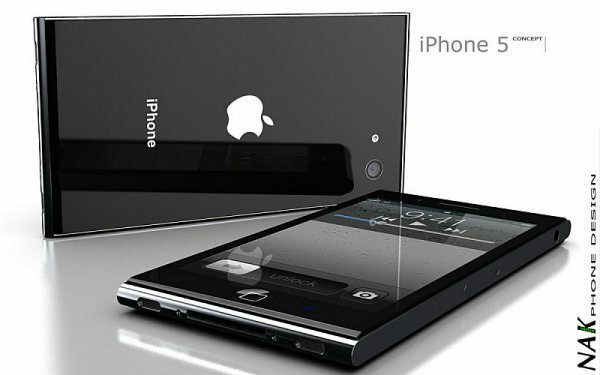 If you are wondering what the Apple iPhone 5 will look like, look no further than here because this is how it should be. 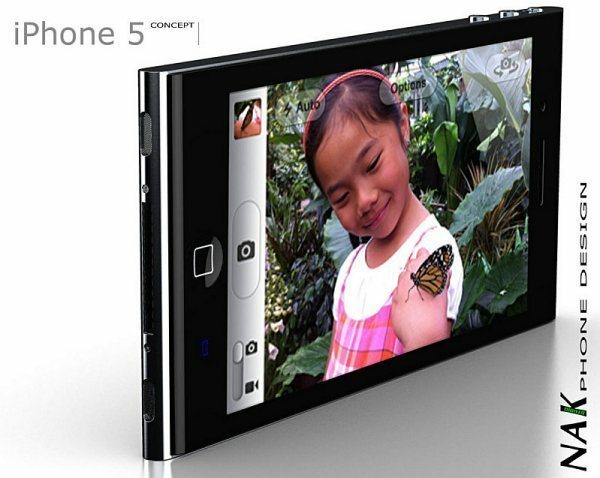 We have some amazing pictures of the new iPhone 5 and what it will feature. Ok sorry, we got you going a little. This is the Apple iPhone 5 concept by Antoine Brieux that we found via Concept Phones, if Apple could produce this exact version you have to agree it would be fantastic to say the least. Look absolutely stunning, caught our eyes in an instant. 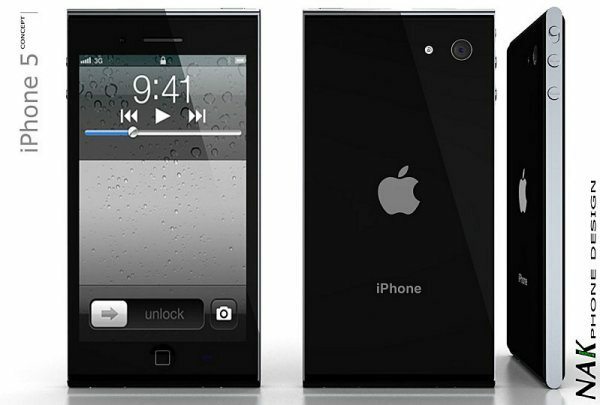 The new iPhone 5 concept, please scrap the word concept and make reality, please Apple can you do just this one thing for us. This concept features a brand new LED notifications panel on the front if the smartphone, on the edge of the back is where the camera lens will be situated, made from magnesium alloy with single part casing. Main features include a 4-inch Retina Display with an 1100 x 730 pixel resolution (326 pixels per inch), 8-megapixel camera, LED flash and even HD video capture. 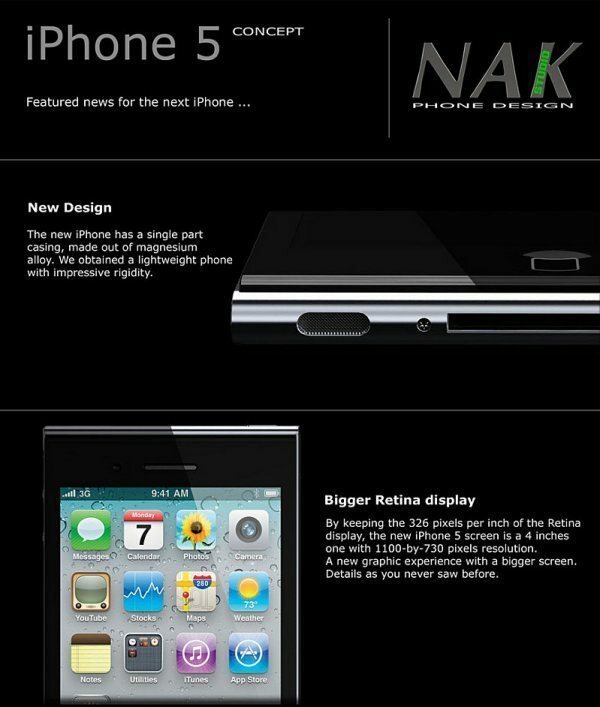 This new stunning iPhone 5 will house the fast dual core Apple A5 chip, oh yes baby. All the images you see here are courtesy of Nak Design Studio please do use the commenting area and our poll system below. Answer our poll question by clicking the relevant field. This is the how it should be petition, please vote now to have your say, the poll is below all the stunning photos. Thank goodness it’s only a concept design. It looks like something Microsoft would design. How fugly can you get! Those pics look great but only a concept. 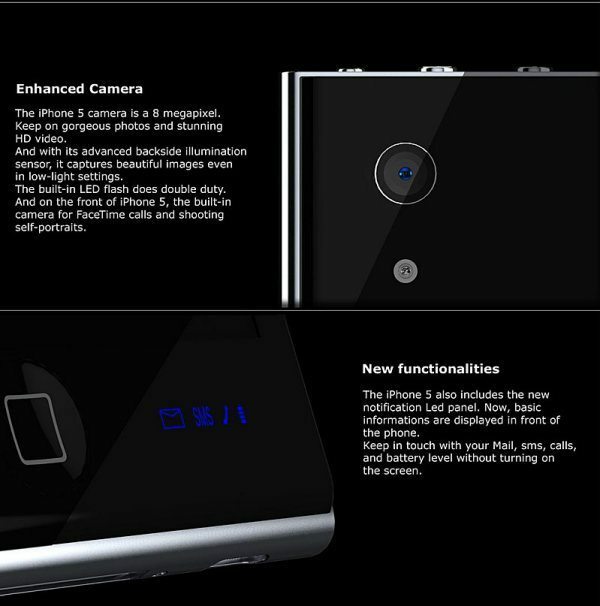 However, these iphone 5 pics look more genuine although a bit uglier.